Welcome to the mining tutorial. Mining in Project Ion is probably the most expensive profession to start with but it can easily turned into a reliable source of profit. Returns in mining are usually good and if not, then markup makes it up for the loses. I suggest having around 200 Dinars before trying your luck in mining. For this sort of money you can buy your first Woosh PRD 101 mining finder, Woosh PRE 101 ore extractor and around 250 S bombs. You could start with fewer bombs but it seems like a good idea to make longer mining trips. It is common to find only a few deposits in a 100 drops or to find nothing at all in 20-30 drops in a row just to find a larger deposit afterwards. All the basic mining gear can be purchased from Mr Quick Fix in Babylon. Proficiency in using mining tool depends on Prospecting and Extraction skills. Using more advanced tools requires higher skills and higher budget but will result in bigger and better finds. 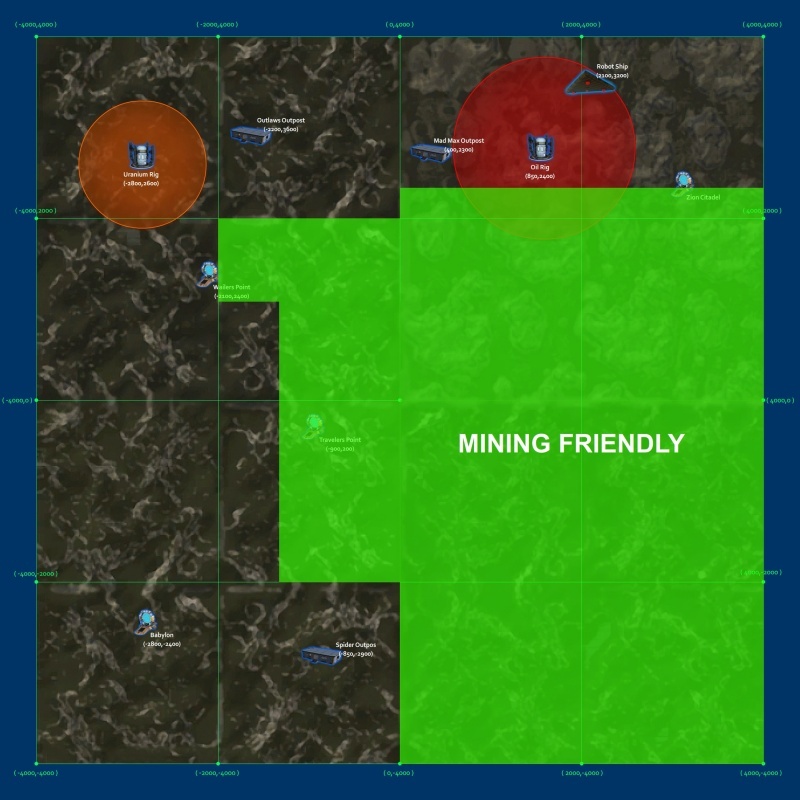 Above zones are marked on the map with green overlay. You can sell the ores you find with markup to other players or for their nominal value to the Pwn Shop. Ask in the game chat to find the buyer offering the best price.